Hey, guess what! 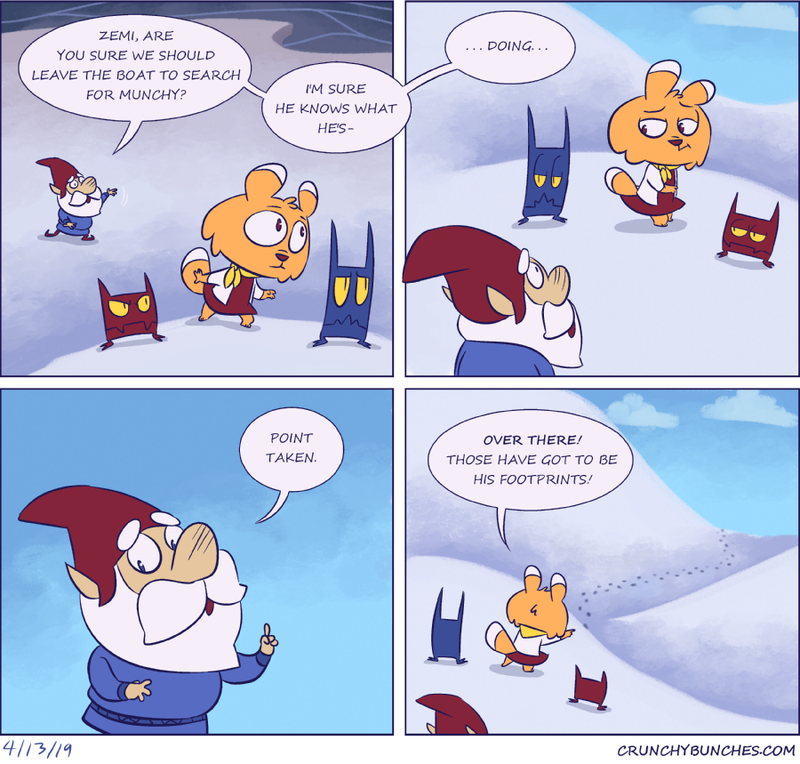 Crunchy Bunches now has a shiny new Patreon page! If you’re not familiar with Patreon, it allows you to lend support to independent creators with a monthly payment subscription. You can start out with as little as $1 if you want! Any little amount is always appreciated! 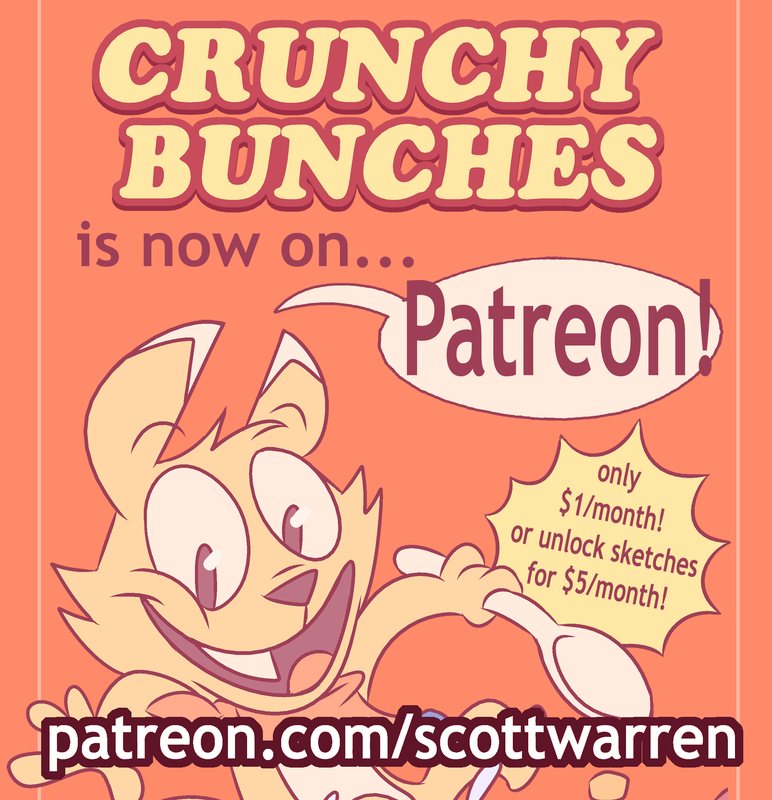 At $5 a month, my Patreon page lets you take a look at monthly updates of behind-the-scenes sketches, concepts, thumbnails, and early script drafts! If you’ve wanted to help out Crunchy Bunches comics, this is a great way to contribute. Thanks to everyone who’s subscribed already, it really means a lot! MAN, those are some industrial-strength dubious looks! Well, he definitely earned them. Hey, Munchy has everything under control, uh, right. Time for Zemi to be the lead scout! She’ll need her Cookie Scout training today!